The Regional Offices of ICAO play an important role regarding the Organization’s mandate: facilitating the consultation necessary to ensure that emerging ICAO guidance fosters the safe, secure and sustainable development of air connectivity, as well as the Organization’s support of the implementation of this guidance. To celebrate the Office’s seven decades of work in this regard, and to thank Peru for its generosity in hosting the Office, ICAO Secretary General, Dr. Fang Liu led a number of activities that coincided with an Extraordinary Meeting of Directors General of Civil Aviation of South America (RAAC/16) and International Civil Aviation Day (7 December 2018). 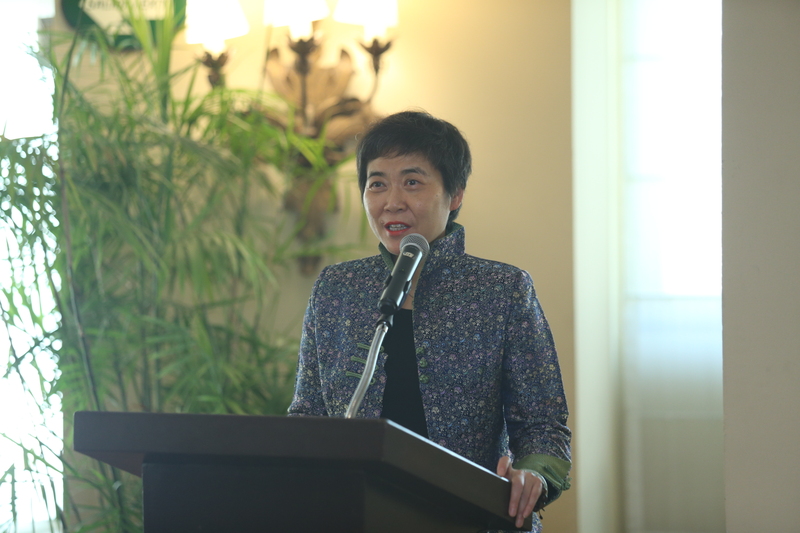 Dr. Liu delivered the Opening Address to RAAC/16, which was attended by Representatives of the States on the ICAO Council. She highlighted the recent progress made by States in the SAM Region towards meeting ICAO’s Strategic Objectives, which was achieved through the region’s long-standing policy of mutual cooperation. To illustrate this, she cited the outcomes of ICAO’s Universal Safety Oversight Audit Programme; the continued trend of decreasing accidents; the adoption of key air transport operational priorities, including the implementation of Performance-based Navigation (PBN); and the optimization of airspace use, which has resulted in hundreds of thousands of fewer tonnes of CO2 emissions. She pointed to the success of the Regional Safety Oversight Cooperation System (SRVSOP) and the creation of the Regional Aircraft Accident Investigation Cooperation Mechanism (ARCM) as particularly tangible and salient examples of cooperation in the region. 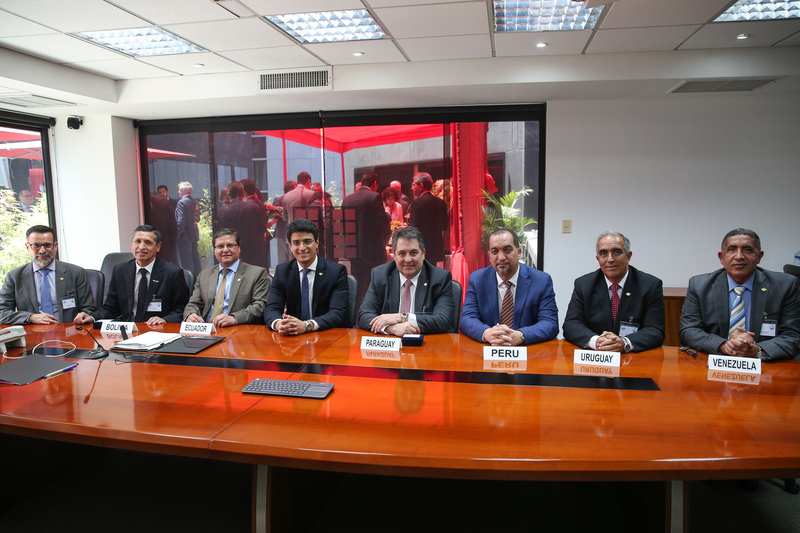 Within the framework of the RAAC Meeting, a Licenses Validation Agreement was signed by Bolivia, Ecuador, Paraguay, Peru, Uruguay and Venezuela. The agreement for the automatic validation of aeronautical personnel licensing regarding the 174th amendment of Annex 1 of the International Civil Aviation Convention will be implemented as of January 2021, and will benefit States and the industry of the Region because it automatically endorses personnel licensing based on the Latin American Regulations (LAR) and associated procedures. As well, a Bilateral Security Agreement between Brazil and Ecuador was signed. Mr. Fabio Rabbani, Regional Director of the ICAO SAM Office (above) made a detailed presentation to the Members of the ICAO Council highlighting the achievements and the challenges in the SAM Region. 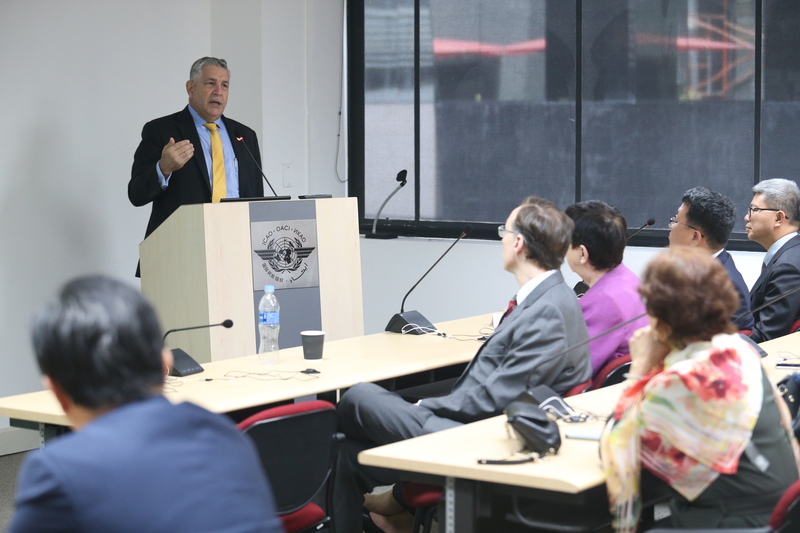 Mr. Melvin Cintron, Regional Director of the ICAO NACC Regional Office (below) emphasized the importance of States in the SAM and NACC Regions adequately communicating their expectations to the ICAO Regional Offices, and the need for constant, smooth communication between them. Mr. Norbert Onkelbach, Chief Commercial Officer of Lima Airport Partners (LAP) presented a very detailed situation analysis of the current capabilities of the Jorge Chavez International Airport in Lima, and the future actions that will foster its expansion. 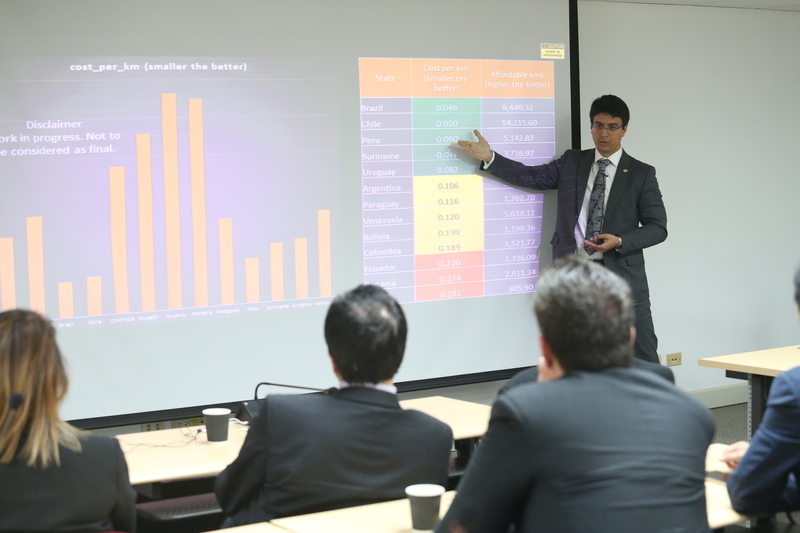 Mr. Paulo Vila, Air Navigation Coordinator, DGAC of Peru made a presentation on the strategies applied by the Peruvian State and the progress made in GANP implementation in air navigation services in Peru. 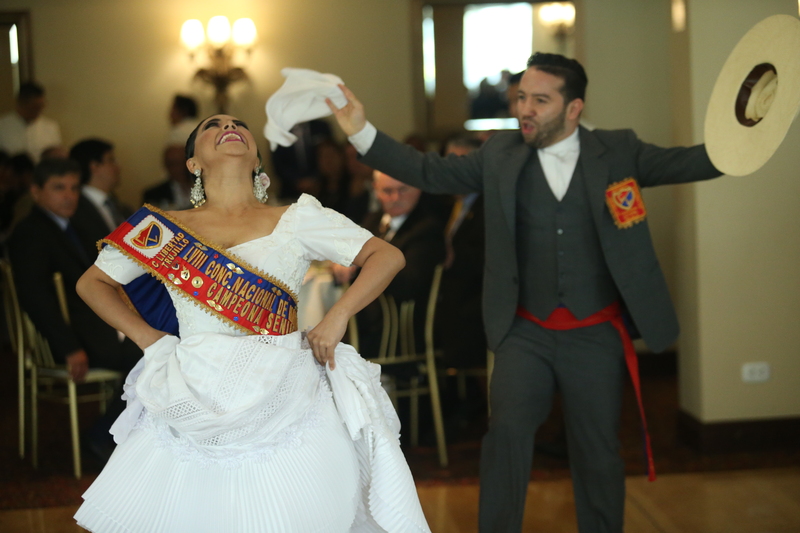 Peru’s decades-long leadership and contributions to the cooperative spirit of the Region were celebrated through a variety of activities during the Secretary General’s mission. These included bilateral meetings with Peru’s Minister of Foreign Affairs, Mr. Nestor Popolizio, and its Minister of Transport and Communications, Mr. Edmer Trujillo Mori; her inauguration of a Hall of Tribute to South American Aviation Pioneers, located within the SAM Regional Office; the presentation of a commemorative stamp by Peru; her opening of a photographic exhibition at Peru’s Ministry of Foreign Affairs illustrating ICAO’s history and Peru’s contributions; and her unveiling of a monument celebrating this history and these contributions that has been installed at Jorge Chavez International Airport. A Formal Lunch hosted by Peru’s Directorate for Civil Aviation was held at San Isidro’s Country Club Hotel. 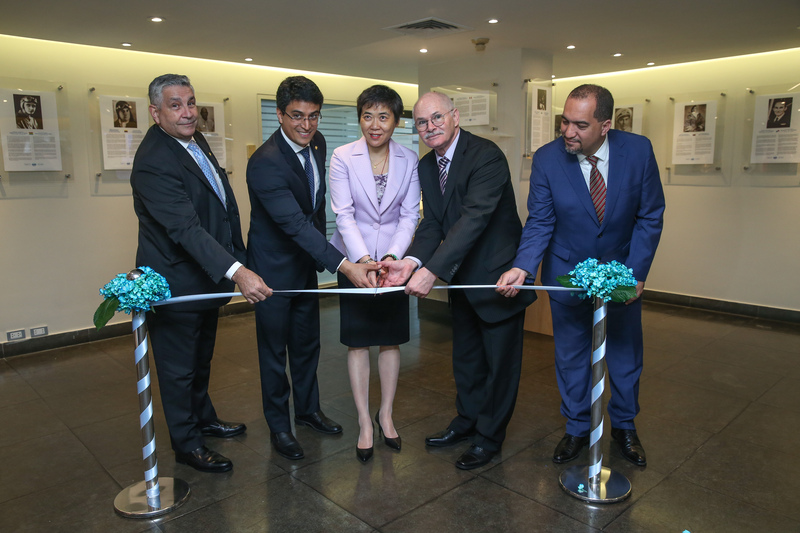 It featured speeches by ICAO Secretary General, Dr. Fang Liu, Vice President of the ICAO Council Mr. Ulrich Schwierczinski and Dr. Carlos Pavic, General Director of the DGAC of Peru. Guests were treated to a demonstration of traditional dancing in celebration of International Civil Aviation Day. 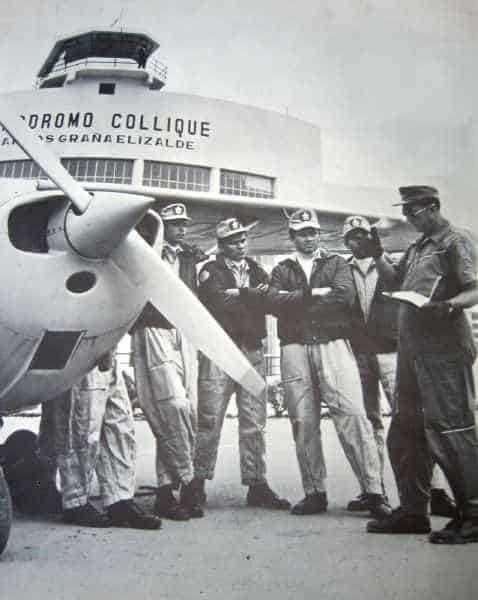 In response to an invitation from the Government of Peru to act as the host State, the first Regional Air Navigation Meeting for South America was held in Lima, Peru on the premises of the Collique Airport in 1947. At this meeting, and following the precedent of other regional meetings, the creation of a Regional Office for South America was proposed. 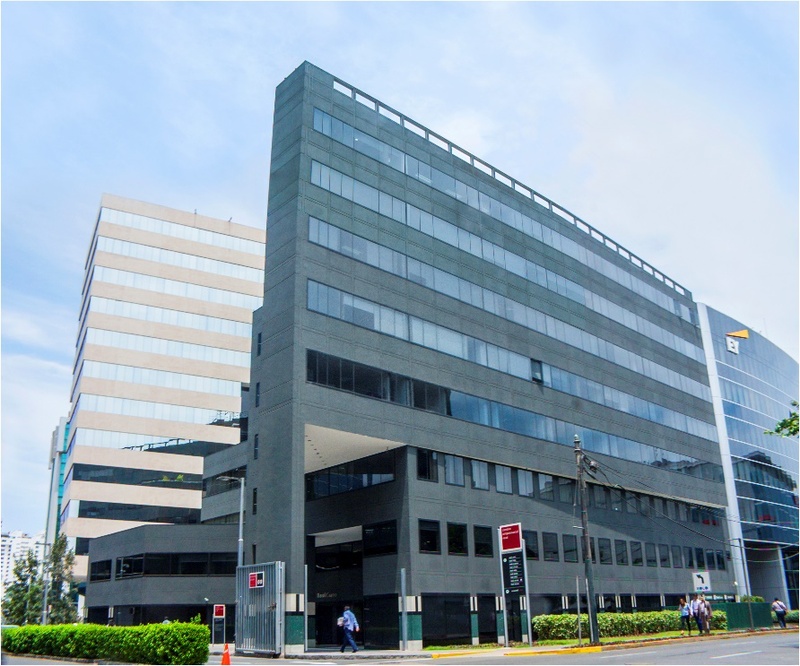 The ICAO Council, upon analyzing the various offers presented by the States of the Region, decided to establish the headquarters of the Regional Office in Lima, Peru, based on its geographical location and the facilities offered by the Peruvian Government for the establishment and operation of the South American Regional Office. The agreement between ICAO and Peru was signed on 22 October 1948, establishing its headquarters in the terminal building of Limatambo Airport, operated by the recently established Peruvian Corporation of Airports and Commercial Aviation (CORPAC). In 1969, the Regional Office moved to the Jorge Chavez International Airport. Many staff members are still part of the Office, including Oscar Quesada, current Deputy Director, Arturo Martinez, IT Administrative Associate, Marisa Paez, Assistant to the Director General, and Deborah Coriat, Administrative Assistant. In 2006, the Government of Peru offered ICAO a more strategic location with better access to the city; a new address in San Isidro.